Fun books and toys, jewelry, fossils, rocks and minerals, crafts, and more… all at GEO GIFTS! Take home Your Piece of the GEO CENTRE. 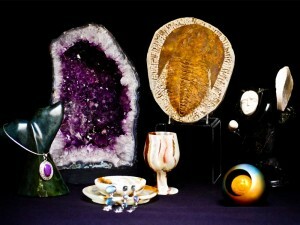 Come in and enjoy one of Atlantic Canada’s most unique gift shops, GEO GIFTS! GEO GIFTS features local, national and international gifts that reflect our province, themes and exhibits. From fun stuff for the kids, to beautiful Labradorite jewelry and local crafts, there’s something for just about everyone at the GEO CENTRE gift shop. Our gift shop carries a variety of items including fun and educational books and toys, a large selection of jewelry, fossils, rocks and minerals, housewares and crafts. Best of all, the prices are very reasonable, and international shipping is available (just ask)! Find your ‘must-have’ at GEO GIFTS today! Visit us in the Johnson GEO CENTRE at 175 Signal Hill Road or call 709-737-7888.